A lot of homeowners strive to bring the raw side of nature into their homes. They have found that there is something decidedly natural and organic about seeing exposed materials like beams, bricks and other elements in their homes. The industrial/urban style has long been aware of the benefits of showing off these building essentials, rather than concealing them. 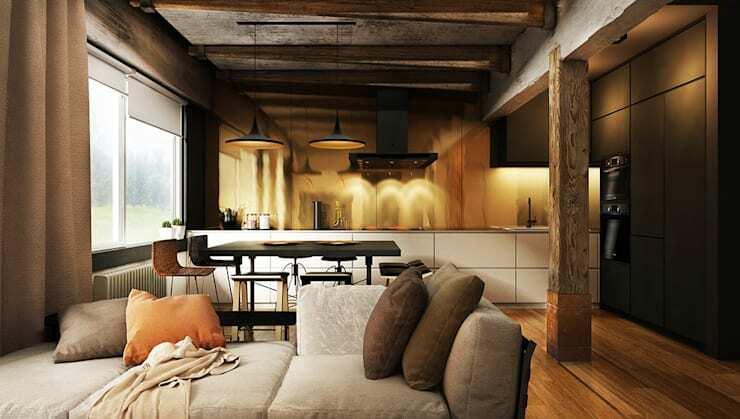 Exposed materials add a rich dimension to a home, regardless of the chosen style. Today, a lot more people are starting to show appreciation for the relationship between form and function, and are leaning towards a design with clean lines and simplicity. But don’t mistake ‘simplistic’ with ‘plain’. 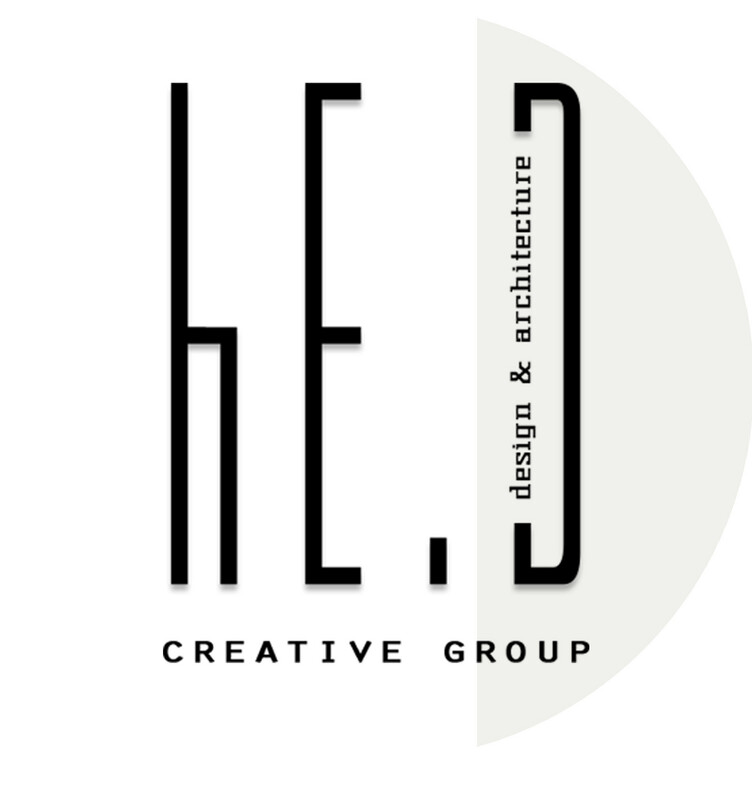 Instead of complex patterns, many homes now sport structural fundamentals such as exposed brick and polished concrete. Adding raw materials to a home is adding an exceptional element of quality. Combining wood, brick, concrete and other materials can lead to interiors that are dynamic yet elegant. Brick in its purest form has been used for centuries and, as a testament to its durability, a lot of historic and ancient structures made of brick are still standing today. In this day and age of increased attention to green building, it’s a smart choice to build something that is sure to last. The appeal of the exposed brick is untouched by many materials. Its pattern makes for a stunning backdrop for urban lofts (among other things), and adds texture and colour to any room. However, think carefully before adding a coat of paint to your brickwork. It is chosen as a building material because of its durable and built-in colour (and one is really spoiled for choice in terms of brick shades). Exterior brickwork that has been painted will need a touch-up about every three to five years. The quality of your brick should also be noted. Brick that is chipping, deteriorating, and in general bad condition should not be painted. Paint blocks the natural pores in the brick’s surface, which can cause existing problems to worsen with time. Whether it’s a tanned cherry countertop or a rich mahogany dining table, wood does exude a certain level of sophistication – if done correctly. For a lot of people, wood is one of the only materials that can be finished off to make it look like shiny marble, or, on the other hand, left raw and natural to show off its imperfections. Wood is one of the easiest and warmest natural materials, and is available in a wide array of finishes, classes and applications. Whether we’re referring to hardwood floors or ceiling beams, wood can also be refined from older buildings to continue its sustainability and visually pleasing element. homify hint: Wood is popular because it is durable, attractive, and can be finished in any way you please. If you prefer a nostalgic look to your furniture, opt for antique wood finishings. If contemporary is more your style, go with wood furniture sporting a sleek finish, minimal lines, and that are free from ornamentation. From its original raw production stages to demolition, concrete is considered environmentally friendly, making it a prime choice for sustainable home construction. •	Concrete is an efficient resource – the predominant raw material for the cement in concrete is limestone, the most abundant mineral available. •	It has a high thermal mass – homes built with concrete floors, foundations and walls absorb and retain heat, making them perfect in winter. •	Concrete is durable – its buildings are sturdy and long-lasting and will not rust, rot or burn (life spans of concrete building products are easily double or triple what it is for other common building materials). •	Light-coloured concrete roofs and pavements absorb less heat and reflect more solar radiation than dark-coloured materials (like asphalt), thereby reducing cooling demands in a hot climate. Need more convincing that concrete can be gorgeous? 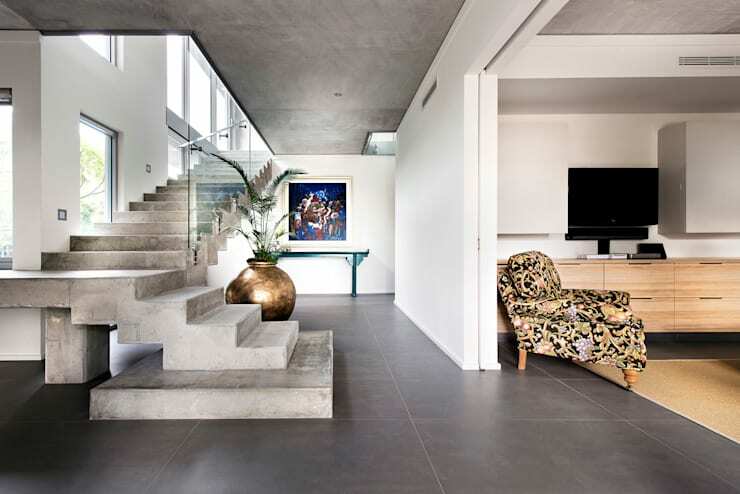 Then take a look at these stunning Polished Concrete Walls. A lot of architects, designers and homeowners choose to leave their beams exposed these days. Not because of budgetary reasons, but because they want to use this uncovered structural element as a feature. Some even go so far as to add exposed beam touches to their ceilings to give their home an industrial and traditional touch. The reason? It has a unique appeal, immediately lifts up the eye, and actually adds depth to a home’s interior, giving it a distinct look. homify hint: Natural materials are finding their way into more people’s homes, and flora isn’t left behind. Flowers and potted plants are becoming fashionable decor items (and we’re not referring to the artificial kind with a thin layer of dust on top). Planting indoor bulbs, keeping low maintenance plants (like succulents or a cactus) inside, or just popping up a vase with some fresh flowers instantly cheers up any room, and is the easiest way to bring natural appeal to your dining room table (or home office, or bedroom, or bathroom… ). 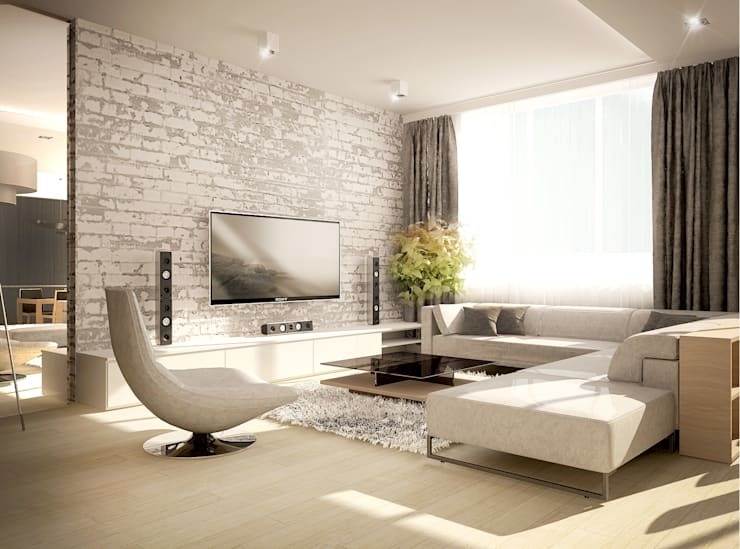 Pipes and ductwork are generally hidden behind walls and within ceilings. However, if done correctly, leaving some of these elements exposed can serve as edgy decorative statements, and lend an industrial flair to any space. •	If you don’t want to cover them up, but also don’t feel like highlighting them either, paint them the same colour as the ceilings/walls, making them blend in. •	Exposed pipes don’t have to be sternly linear. Installing some curves and joints can make them into an interesting pattern. 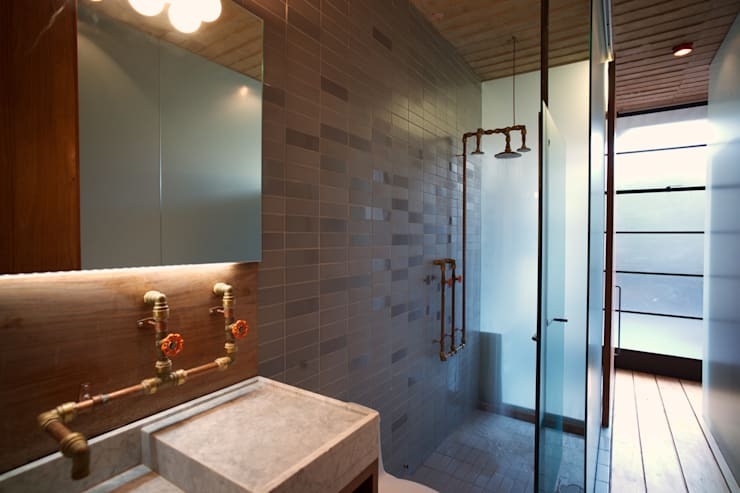 •	Keeping the hot and cold water pipes exposed in a shower adds a clever industrial touch. This also makes it easier to add a shower where there currently isn’t one, as there’s no need to break into the wall to install and hide the pipes. •	Exposing ductwork frees up some additional space above and around it – a clever way to avoid an enclosed effect if you’re already pressed for space. •	Instead of making a pipe disappear that stands no chance of blending into the background, rather make it a focal point in the room by painting it a bright and daring colour. Why would one decorate a wall with stones? Because they are gorgeous! 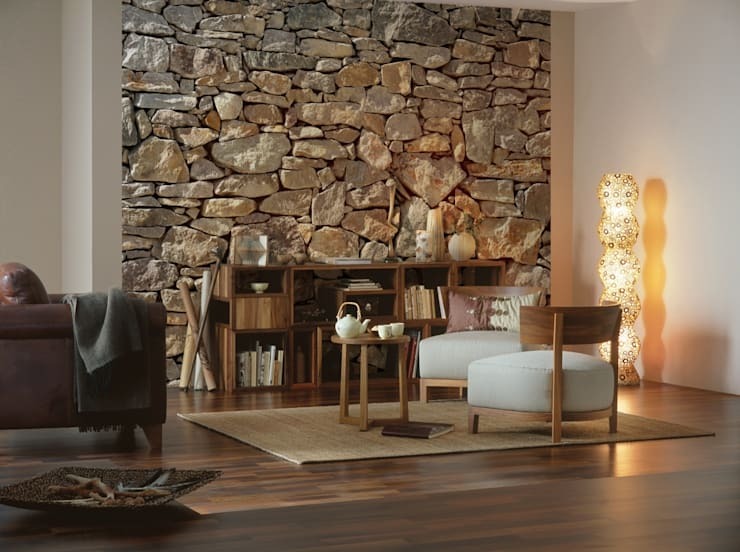 And having a stone wall in a room can give the area a rather unique appearance. A stone interior can change an entire room by giving it a whole new style – from country to modern. Stone walls don’t have to look cold; they can warm up the room with some attractive décor (like plants or other brightly-coloured elements), and help to create a peaceful atmosphere (think of a lightly-toned stone wall in your bathroom for some spa-like serenity). homify hint: Don’t forget about another important natural material as a design element – sunshine. This is certainly one of the easiest, cheapest and most beautiful natural factors you can use. Natural day lighting can make any room come alive, cause the colours in your furnishings and décor to pop, and goes a long way to make you (and your family/guests) feel healthy and inspired. 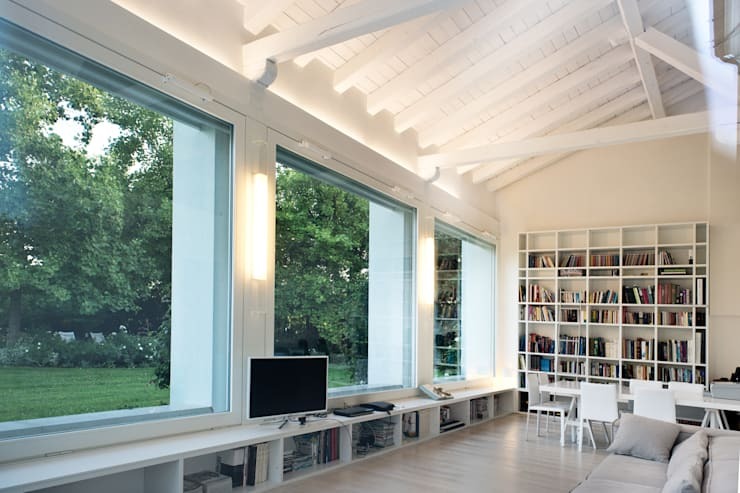 So, remember to include some glass windows (and/or doors) in your interiors for a naturally luminous effect. No more hiding – show off those raw elements for some exceptional quality! What are your thoughts on this trend?